Already 5 years? It's like I started yesterday...! or... Why Five Years of Blogging Have Been Awesome. Do you have a mantra? Not necessarily in the absolute Hindu/Buddhist definition of the word, but a guiding principle that lifts you up and keeps you going when you need the inner support? You approach life with measure, knowing that time, dedication and patience are the ingredients to making your dreams come true... You are steady and determined, exuding a sense of calm and fortitude which puts those around you at ease. Have you ever noticed the subheading under my title graphic up above? The official description for this blog is actually charting a personal sewing journey from student to designer. 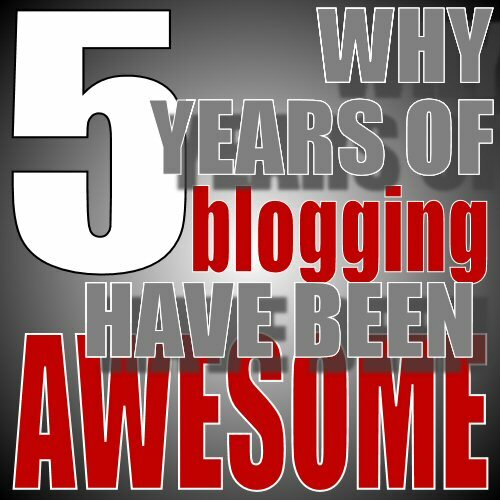 More or less five years ago yesterday, I uploaded my first five blog posts. I back-dated four of them, under the impression that any immediate visitors would have more of a reason to stick around if they had an archive to read and some sense that I was being regular about posting. Every week since then, a new post has been uploaded on Saturday morning... this is the 266th one. Five years in, I'm grateful that the original single step of starting this blog has paid off. Not in a monetary sense or in the sense of the occasional ego boost that comes from having this platform — admittedly, blogging can be somewhat of an attention-seeking activity — but in the sense that things came together more or less as intended. My efforts, rolled out in pretty much the way the mantra explanation states, were rewarded. Therefore, if an aspiring blogger were to ask my advice for how to last to year five, it would probably be along the lines of the above quote, particularly the part about "time, dedication and patience" and being "steady and determined". But in the very beginning, it started with a single step, which was literally as simple as the decision that "I'm gonna give this a try!" That is more or less how I began, armed with the idea that I would create things along the way in support of my goal of becoming a designer. I had (and still have) no clue how long the journey might last, but believed from the beginning that it will someday come to a purposeful end. (When might that be? When I feel that everything has become "been there, done that". But I will never just abandon the blog; when the end comes, you'll know it.) I'm not sure if I had any expectation of it lasting five years, but that's true of a lot of personal journeys... we just don't know. In the meantime, let me tell you what's been awesome about five years of blogging. I don't think you can be an active blogger and not learn along the way. From how to deal with techie things like spammers and scammers to deciding how and when to post, to blog is to learn. And then, depending on the content of one's blog, there may be more learning involved. Fortunately, I'm a big believer in lifelong learning. With our ever increasing life expectancies, the quality of that longer life may depend on our being able to keep our minds engaged. Coming into this journey, I wanted to learn and perhaps re-learn, given that I'd been away from sewing for such a long time. Above all, I wanted to experience different approaches to things and avoid the trap of being one of those old biddies who think, there is only right way to do this. So I soaked up all that I could from other sewing blogs and eagerly set out to re-build the skills needed to transition from student to designer. One could say that the past five years have been a continuous "one step at a time" learning adventure, in both blogging and sewing. When I posted my first entries for this blog, did I have any idea of the diversity of learning that I was about to experience? Probably not; but as I've said before, I tend to move forward with few expectations. Therefore, early on, it was clear that I had to make the effort to engage and connect with actual people. (Not easy for the private and introverted individual that I am at heart.) While I remain more and more wary of social media in general, I have to admit that being part of the blogging community has been instrumental in allowing me to share my ideas, projects and yes, my designs. It's been mostly positive in that sense, and I'm extremely grateful. The number of people who are truly enthralled about this little hobby of mine in "real" life are so few as to be less than a couple. It's nice to be able to share my work online with those who have a common enthusiasm for it. In five years of blogging, I've had a few comments that take me back to those days of being really helpful. Early on, I received one for explaining how to use the Windows Snipping Tool (totally not about sewing). Later, when I posted about a set of DIY ruler grips (somewhat about sewing), a couple of arthritis sufferers expressed their appreciation for the idea. More recently, a post about sewing up a sun visor for glasses unexpectedly met a need for a person experiencing vision loss who then thanked me profusely for sharing. In life, being helpful is its own reward. For a blogger, the opportunities to be helpful are out there all the time. That is one of the most awesome things about blogging. What can I say? For all of its inherent beauty, our world is becoming a distracting, stressful and undeniably hateful place. Whether it's humanitarian crises in third world countries or the loss of humanity in the political processes of first world countries, sometimes I just need to escape. I feel lucky that I don't have to crawl into a cave to do so. In contrast to the near constant news of destruction around the world, blogging — and the specific purpose behind my blogging — allows me to create and build... and rejuvenate my soul. I'm pretty sure you know what I'm talking about when you're in the middle of a sewing project and are just intent on getting to the next step; even if it's fixing a particularly vexing problem and you're forced to rip out stitches. At least, in that moment, you're focused on something other than whatever your "real" problems might be. We all need to have an escape. My blogging adventure has provided me with two: the sewing part and the writing part. Look up the definition of "selfish" and all of its negative meanings will flash at you in bright neon lights. (Well, not literally.) However, there is one positive meaning usually lost in the mix of the negative that you should examine... the part about caring for your own well being above others. The truth is — if you're not otherwise a narcissistic person — putting a priority on self-care is a good thing. After all, if you're constantly giving away the best of yourself, what does that leave for you? In terms of blogging, it's definitely okay to be the number one fan of your own blog. It is, after all, a reflection of what you're passionate about and hopefully, who you are. For me, this means that I will write about whatever I want (within the parameters that I've set up for myself). That way, I can always sit down with my own blog and be entertained by past posts. As long as I maintain that freedom, I have the fuel and the drive to continue. If my aim was to post only what I thought my readers would like, I would be courting failure. The point is, unless you're a business and have done massive amounts of data research, you won't know what your readers will like either. Trust me on that. On a blog post by blog post basis, after five years, I still don't know how each one will be received by readers when it gets published. After five years, I now have a good idea which ones may not interest readers so much (which doesn't stop me from posting), but whether or not any given post might be outrageously popular? I'm nowhere near being even 50% correct on guessing those... and during my school days, getting 50% on anything would have been demoralizing. The main takeaway here is that I don't let that guesswork weigh into any decision that I may make about what to post. Since my blog is all about me, I selfishly write about what I want to write about. Likewise, I take on sewing projects that I like. Anything else would make this journey a lot less enjoyable. So allow me the indulgence of patting myself on the back for lasting five years. If you've been along for at least some of that journey, let me also thank you for your time. It's been immensely appreciated! So, this one thanks you for your five years of blogging, and hopes you enjoy posting for many more! All kidding aside, your comment is entirely reflective of what I said in my post. Being able to pass along assistance and inspiration is AWESOME. If the opportunity to keep doing so exists, I may be here for another five years, who knows? Ooh... Bloom's Taxonomy... that's a blast from the (far) past! I don't know if I am one of the six, but like Melody, your blogs are appreciated, gets me thinking and when I see the email, I wonder what today's blog will bring! I am intrigued by the Fabric Match Box you wrote about and have been gathering supplies to put one together. Hopefully I've brightened your day, but you've definitely brightened mine! I look forward to many more blogs. Yes, yes, Patricia, you have definitely brightened my day — much appreciated since I am in for a dull, snowy day according to this morning's forecast — and I am honoured to have brightened yours. Best of luck on your match box! Same as you, Rochelle, I post what I want, when I want - although at the moment, not as often as I would like. Glad I'm one of your readers. Congrats on five years!